A good primer is very essential if you want your makeup to look fresher and last longer. Primers also seal pores on your face by creating an invisible blanket and also adds softness to the makeup making your face look velvety smooth and making the makeup application a breeze. 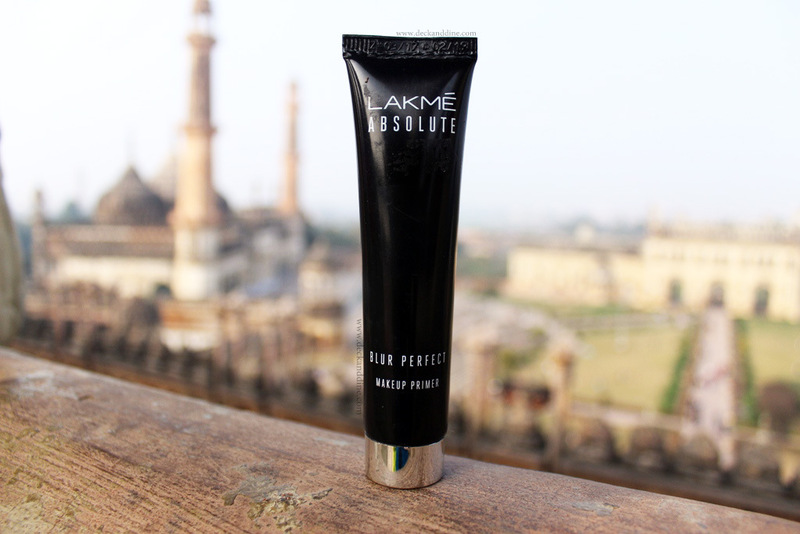 I have heard so many raved reviews about the LAKME Absolute Blur Perfect Makeup Primer and so I thought about giving this a try. 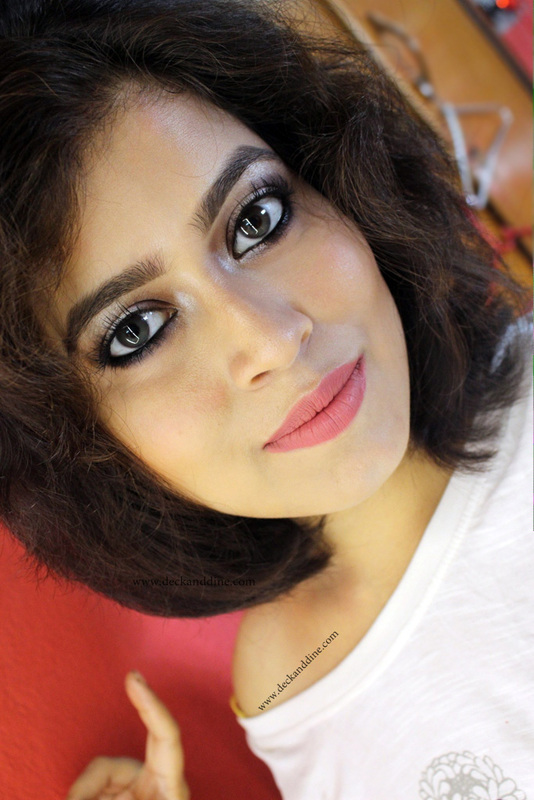 I have been a fan of INGLOT Under Makeup Base (read review HERE) which I successfully finished few months back. So, let’s see if a product priced half of my favorite INGLOT primer, could actually impress me with it’s quality or not. The primer comes in a black squeeze tube with silver screw cap. Sturdy and travel-friendly. I like squeezy tube as I can squeeze out just what I need rather than trying to manipulate a pump. This primer is light pink in color and has a mousse kind of a texture. But the color tends to add a cast, so beauties with darker skin tones have to be careful about the quantity. It is very lightweight, blends like a breeze and gives a silky, velvety-smooth feel to the skin. It has a pleasant fragrance that disappears within seconds of application. As I said, it applies easily and evenly, absorbs pretty quickly and feels beautiful on the skin. My feels smoother too, thanks to the silicon in it. So if you are allergic to silicon, stay away from this; it can wreak havoc. It makes foundation application like a child’s job; the makeup sets better and looks more natural. It gives a beautiful matte finish to your look and keep sweat away, making the makeup last longer than usual. So if you have oily skin or if you are a matte finish lover, then, you are going to love this. Me being more of a dewy finish lover, have kind of a so-so feel about this finish. Skin feels so soft, smooth and beautiful. Blurs out pores and fine lines to some extent. Allows your foundation to glide easily and seamlessly. Gives a sophisticated matte finish. Makeup looks fresh even after hours of application. I use it as an eye primer too, and it works brilliantly. I wish it didn't have any color to it. It does its job nicely. Creates a smooth canvas for the makeup, prevents the makeup from creasing and fading. But the cast on deeper skin tones is something one shouldn't ignore. Keep the quantity in mind, don’t over apply. This is good, but I would still stick to my INGLOT one, unless I find something better. As I said, matte finishes isn't something I totally crush on and this is the only reason why I won't be repurchasing this. 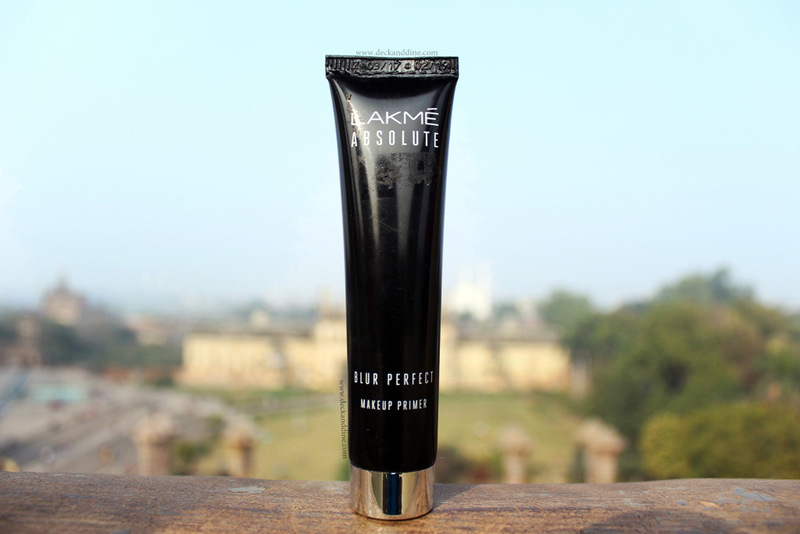 So to me, it is a decent makeup primer, if not extraordinary. If pigmented primer is not a problem and if you are not allergic to silicons, then you can give this a try.